When was a boring week in school, we want something unusual. Maybe candy or cookies? How about a tiramisu cupcake? This game cooking tiramisu cupcakes will show you how easy and fun to prepare delicious sweets. Most importantly, it's fun and not difficult. We will help Ariel! This beauty has already prepared all the ingredients for this delicious sweet and is waiting for you in the kitchen. 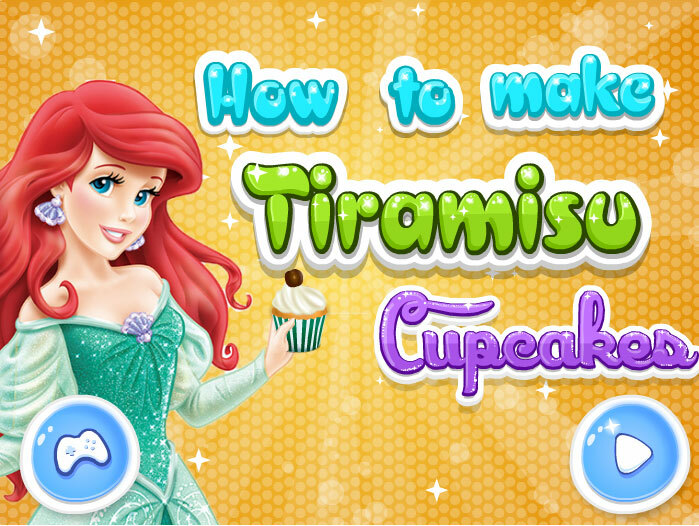 In this game you will prepare cupcakes tiramisu. You've probably seen them in the candy store and to learn to cook this tender miracle at home. 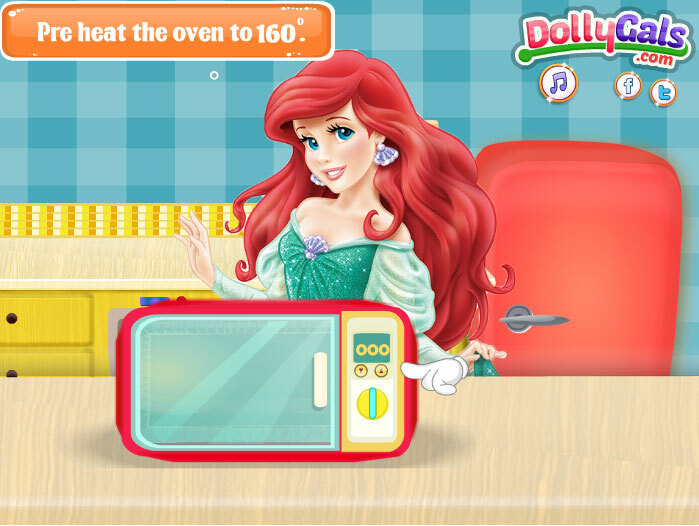 So join our redhead beauty Ariel and look for clues in the game. For this you need to be a little careful, as well as mouse. Her you'll turn on the oven, pour the food into bowls and decorate the cupcakes. Played: 38691. Added: 27-02-2016, 16:31. How to make Tiramisu game.